Every time i try a new recipe from "Cooking at home with Pedatha" i fall in love with this cookbook all over again. Few of the recipes have become a staple in my kitchen. I wanted to try this Mango Tokku for quite some time and last month i tried it finally and my family is loving it :). Here's the recipe. Heat oil and add mustard and let it pop. Add fenugreek and let it brown and add asafoetida. Add mango and remaining ingredients . Cook till oil separates and pickle is ready. Store in a sterilized bottle in refrigerator. That pickle looks so tangy and yumm!!! Yummy pickle. perfect for curd rice. Great pickle . Loved it. a sweet and spicy mango pickle! how fabulous! i'm already drooling! pickle looks yummy. i am nt good in making them but learning. i am going to try this one. 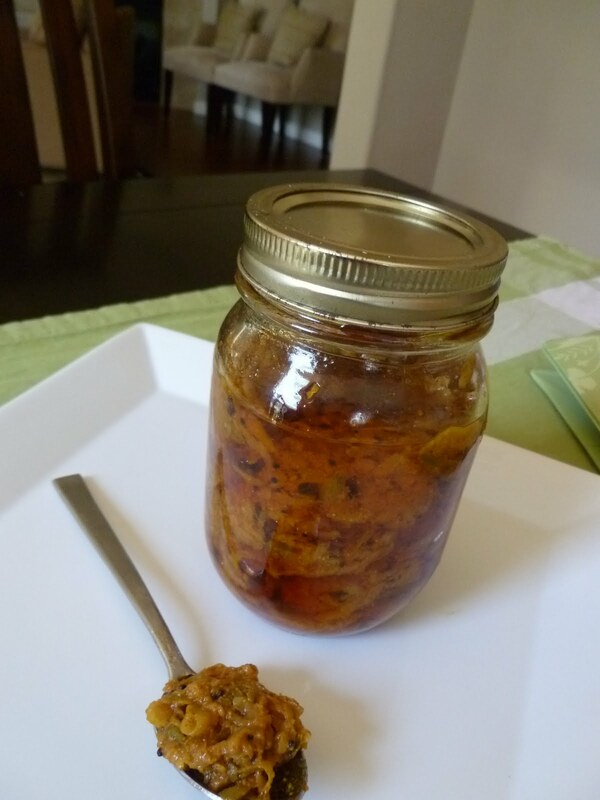 Nice recipe for the pickle and looks mouthwatering! My fav...pickle is my most fav item in lunch time....i can use pickle for anything....and this thokku looks gr8..